Look at the amazing transformation by our Trulawn Installation Partners Lifetime Lawns! They completely turned around this common area into a space that is a safe and pleasant to use. 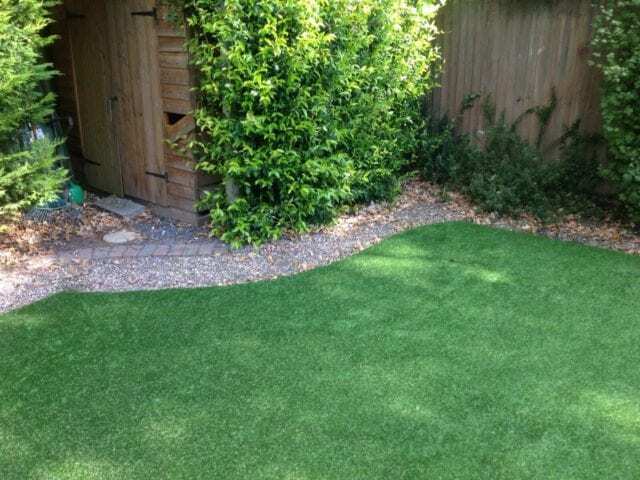 If you want to better utilise your space, but it is in a hard to reach or hard to manage area, then artificial grass is a fantastic option. 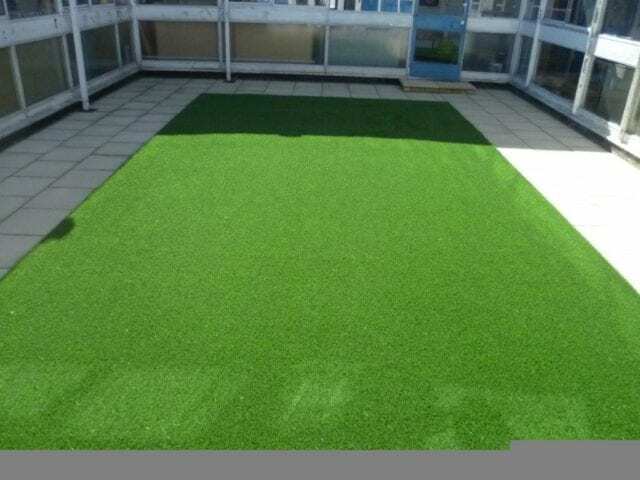 Low maintenance and long-lasting, it’s a ideal for schools and commercial properties. Wayne Freer-Ash, the managing director of Lifetime Lawns and Living Landscapes, started his career over fifteen years ago, in the parks and gardens division of the council in East Sussex. He has trained in both basic horticulture and park management before moving to Plumpton College where he studied for 5 years towards NVQ’s on soft landscaping and general horticulture. 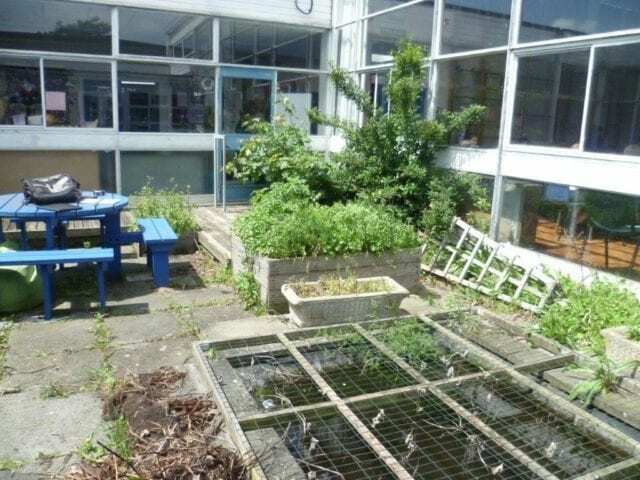 Successfully gaining a place at Merrist Wood College in Guildford, Wayne gained further NCH qualifications in landscape construction, plant sciences and business management before starting his career as a freelance fully qualified landscape gardener. Our team pride themselves on their professional, dedicated workmanship. 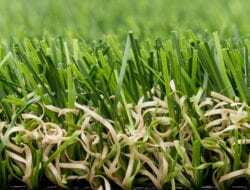 All of our staff are expertly trained in the installation of our high quality synthetic grasses. They are extremely well mannered, well presented, prompt and professional from the start to the very end of the process. We at Lifetime Lawns will provide the highest quality service to all of our customers. We are proud to work in partnership with Trulawn, one of the country’s leading providers of artificial grasses. As one of their registered partner installers, we will provide a sales package that is second to none. Putting you first as the customer has always been our number one priority. 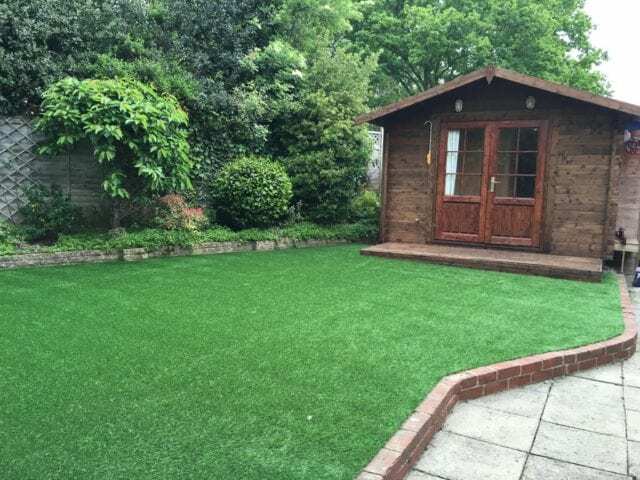 At Lifetime Lawns we strive to build relationships with our clients based on trust and honesty and look to offer a first class customer service from the very first time you contact us to the finished result. We will always work with you to meet your requirements whether it be the design or meeting a specific budget. 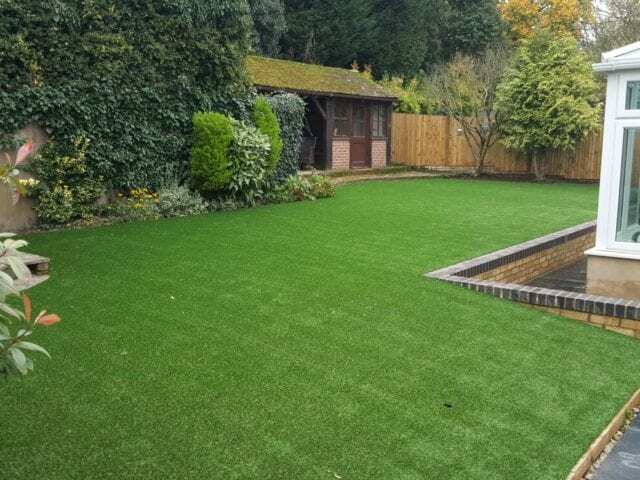 With such a wide range of different artificial lawn products to choose from, we are guaranteed to have the perfect solution for your needs.